As expected, Colorado’s Air Quality Control Commission on Friday approved new low emission vehicle (LEV) standards for new light-duty and medium-duty motor vehicles sold in Colorado beginning in the 2022 model year. Prompted by outgoing Gov. John Hickenlooper’s June 19 executive order, entitled “Maintaining Progress on Clean Vehicles,” the new LEV standards will reduce carbon dioxide emissions by an estimated 2 million tons a year by 2030. The term-limited Hickenlooper’s order directed the department to develop a rule to establish a Colorado LEV program incorporating the requirements of the California LEV program. The commission adopted Regulation 20, known as the Colorado Low Emission Automobile Regulation (or CLEAR). Colorado now joins 12 other states and the District of Columbia that have adopted California’s LEV standards – or nearly 40 percent of the new automobile market. Under the Clean Air Act, only the federal government and California have the authority to set new motor vehicle emission standards. The Trump administration recently proposed rollbacks to the federal government’s emission standards for model years 2021-26, which would make it harder for Colorado to meet its clean air goals, prompting Hickenlooper’s executive order to look at adopting the LEV. More information on the new LEV standard can be found on the AQCC webpage. Leighton Yates, senior manager of state affairs for the Alliance of Automobile Manufacturers, recently told Colorado Politics that nationwide ZEV sales (plug-in, battery electric or hydrogen fuel cell vehicles) represent less than 1 percent of all vehicle sales in a year. But in Colorado, ZEV sales currently stand at 1.5 percent of all new vehicles sales. “We prefer markets, not mandates, and the market in Colorado is ripe for ZEVs,” Yates said, adding that Colorado already outperforms all but two of the nine other states that have adopted the California ZEV standards – all of which are either on the East or West Coast. “We want Colorado to keep doing it their way. It’s working, there’s proof that it’s working, and there’s no need for the mandate,” said Yates, citing stats showing there were about 4,000 electric vehicles sold in Colorado in 2017. The California ZEV standard would require 43,000 in Colorado by 2025, he said, and that’s too big a jump. The California ZEV standard (pdf) requires automakers to obtain ZEV credits based on the number of gas-powered vehicles they sell in a state, and credits are awarded based on the type of ZEV and its overall battery range. The California ZEV standard – a variance granted under the Clean Air Act – requires that by 2025 about 8 percent of new sales are electric vehicles. Jessica Goad, deputy director of Conservation Colorado, told Colorado Politics that its consultants predicted adoption of the ZEV standard would bump Colorado electric vehicle sales from 18,000 by 2025 without the standard to 30,000 in 2025 with the new standard. In June, Colorado Gov. John Hickenlooper signed an executive order (pdf)requiring the Colorado Department of Public Health and Environment (CDPHE) to develop a rule adopting the California Low Emission Vehicle (LEV) program, which can include gas-electric hybrids. The order required the CDPHE to propose the rule to the Air Quality Control Commission (AQCC) at its August meeting, where there was overwhelming support from conservation groups and some towns and counties for both the LEV and the more stringent ZEV standard. 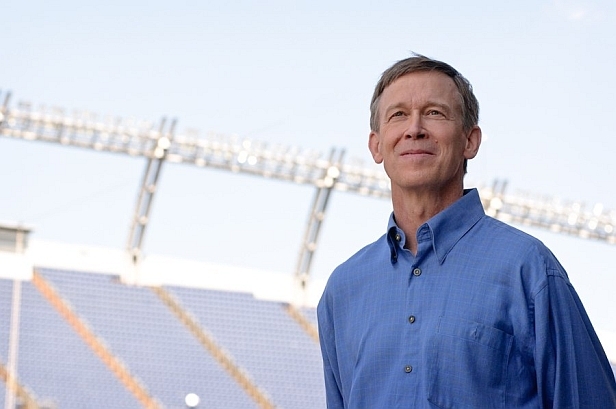 Hickenlooper made his move in part because of the U.S. Environmental Protection Agency’s efforts “to roll back vehicle greenhouse gas and fuel efficiency standards for model years 2022 and beyond.” Now the debate has reached the race to replace Hickenlooper, who is term-limited. A spokeswoman for Democratic gubernatorial candidate and current U.S. Rep. Jared Polis declined to offer a direct comment on the ZEV standard, instead referring to a previous statement from the congressman who represents the state’s 2nd Congressional District. For the time in its long history, the Colorado Auto Dealers Association in October endorsed a gubernatorial candidate, giving the nod to Stapleton, who wound up losing to Polis by more than 10 percentage points. The AAM’s Yates says another big hurdle for Colorado if it adopts the ZEV standard is that Coloradans like their light trucks – a category that includes pickups, sport-utility vehicles and crossovers – but technological challenges have that class of vehicle lagging behind passenger cars in terms of being fully electrified. Yates says 75 percent of the new vehicles sold in Colorado every year fit that light truck category, which is 10 percent higher than the national average. In the Denver metro area, it’s 5 percent higher at 70 percent. They’re coming, he said, but the engineering and technology – especially as it relates to payload and all-wheel-drive — hasn’t caught up to the EV demand. Go to the AQCC website for more information.